Pistachio Gelato, when they’ve got it, is a very popular flavor! 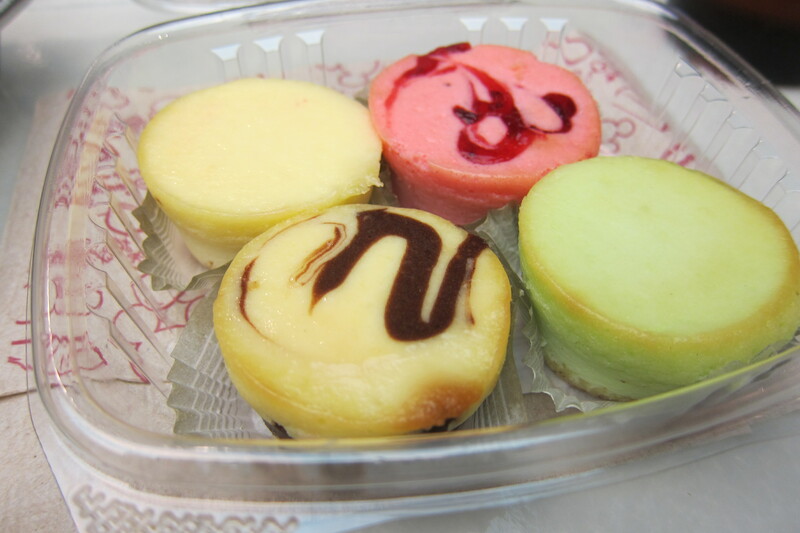 Once in a while you’ll find mini-cheesecakes in the refrigerator case that are perfect to share (or not)! Four-pack of mini-cheesecakes. 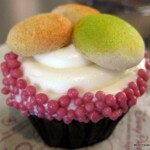 Key lime, raspberry, brownie bottom, and plain. And this unique Macaroon Cupcake has become a guest favorite! 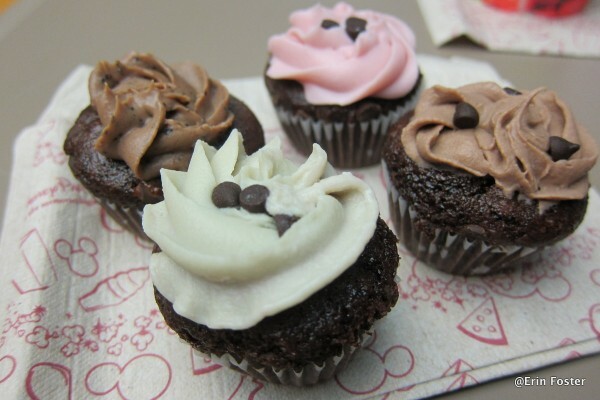 These mini-cupcakes are a fun indulgence — we love the red velvet one! 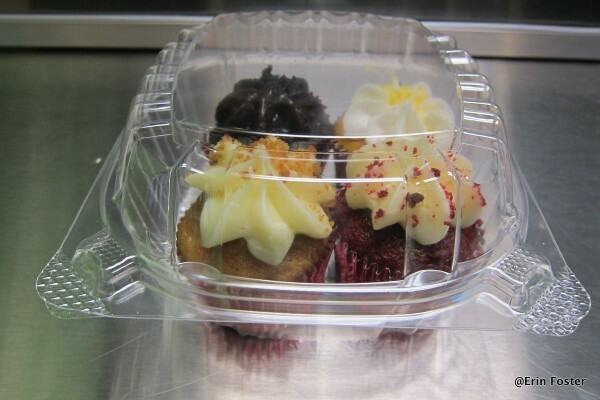 Cute four-pack of mini-cupcakes in the bakery case. 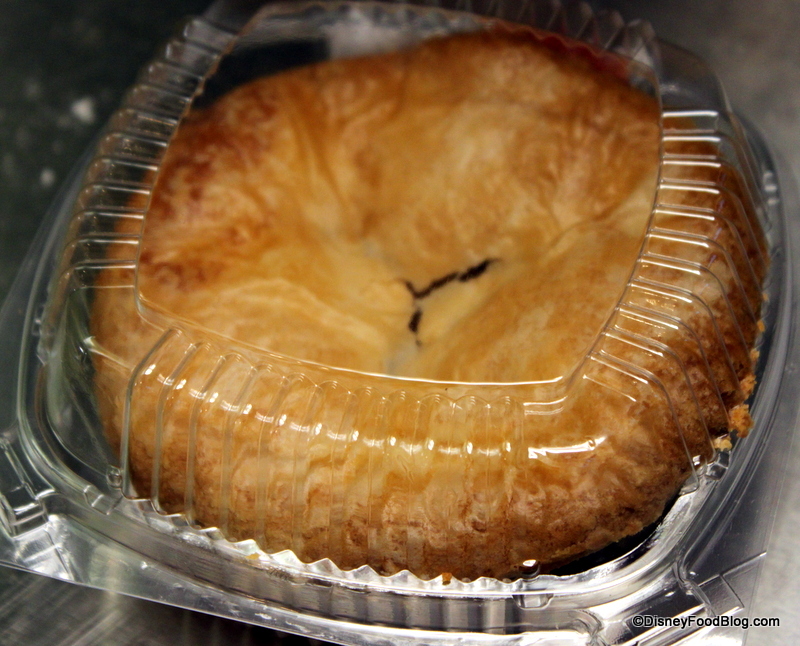 Peek in the bakery case to find your own personal pie (true comfort food)! 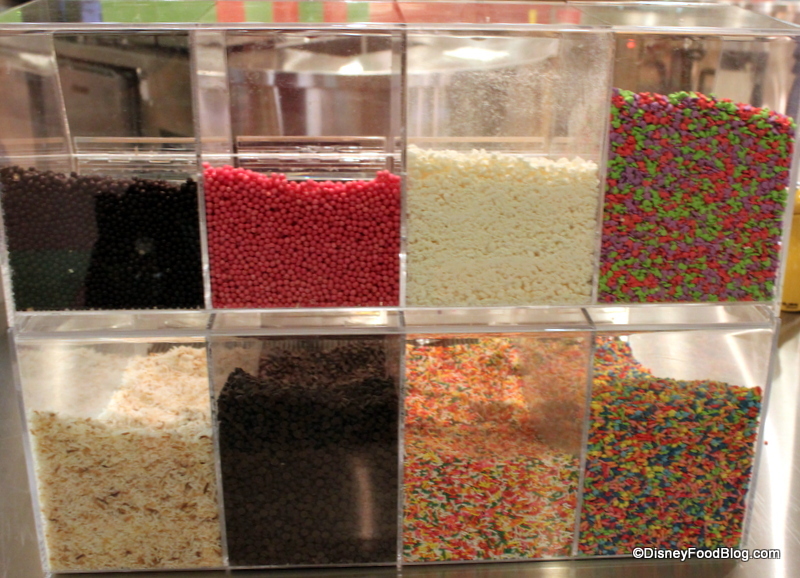 The Art of Animation resort offers unique desserts in a fun food court. Can’t wait to hear your favorites! What treat would you like to try at the Art of Animation resort? « News! Be Our Guest Restaurant Menus and Food Photos! Oh, great article, Kim! I’m going to AoA in Nov. and love any info on it. The crispy treats are adorable; almost too cute to eat (almost!). The gelato looks wonderful even without any toppings and you guys have me so excited about cupcakes this trip!!!!! Thank you so much for this article. We’re getting close to the 2 month mark and I’m getting so excited! 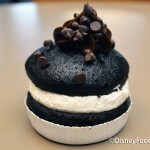 PS: I look forward to the Disney Food Blog everyday. 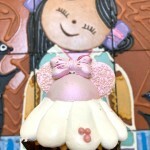 It’s like my daily treat; I can’t wait to find out what yummy surprises all of you have waiting for us! I want to try it all!! Thanks for the yummy tour! AoA is truly a fun resort with great eats. 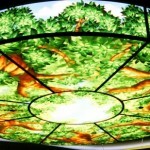 I was impressed when I toured the food court. Enjoy those cupcakes! Um WOW! Pretty awesome selection. 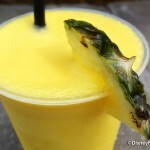 I’m staying at Wilderness Lodge this trip and AoA next year for several days after we cruise on the Fantasy, so I may just have to make a special trip over there next month for that gelato! …and mini cheesecakes/cupcakes. I’m with Essie. This blog makes me smile every day! Erin – definitely try to stop by for some of the unique eats at AoA!! 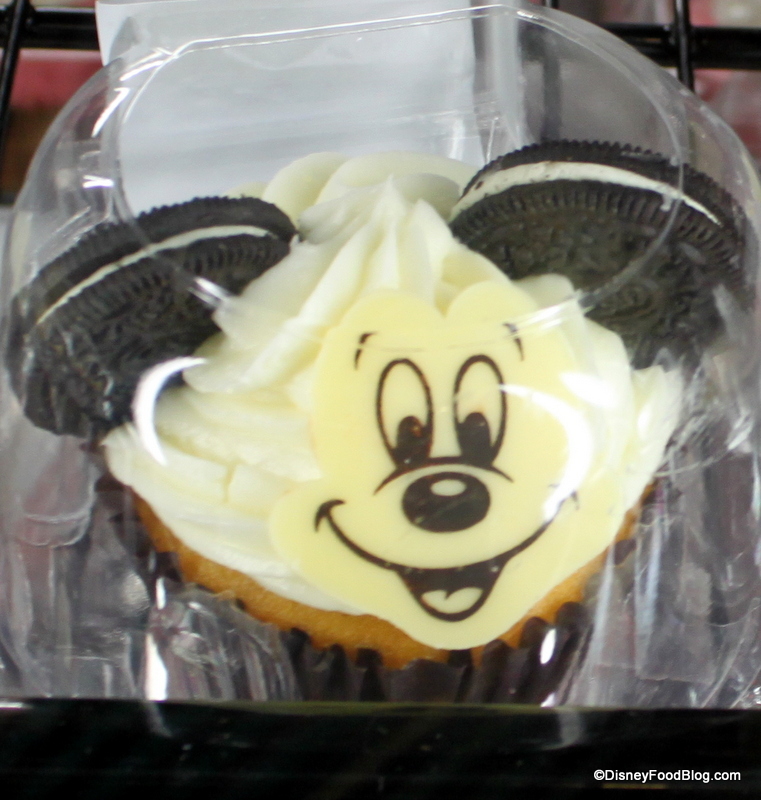 Niki – smiles (and cupcakes) are a wonderful thing! What flavors did they have for the pie? It all looks so good! 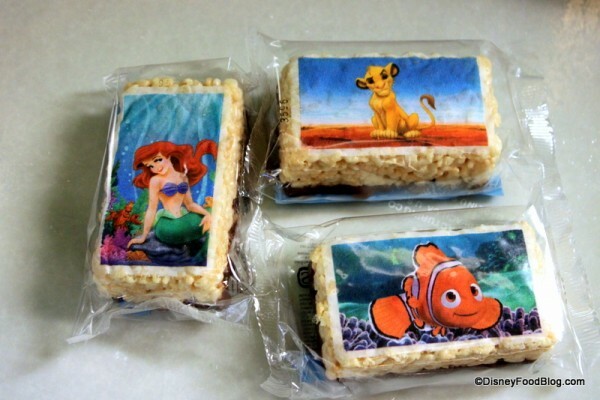 That all looks super yummy! The gelato designs are beautiful. I’m looking forward to trying the gelato in November. Essie, Niki M, and Sarah — Thank you all so much for the awesome boost to my confidence! We all love producing this site each day and I love to hear your feedback! Erin C — I can’t remember pie flavor, unfortunately! I only saw one version, but I’m sure they change them out! Lizzie — They’re so fun, right? JoAnn — Yay! What flavor? I usually have a combination of strawberry and banana when I have gelato. I’ll see what they have when I get there. 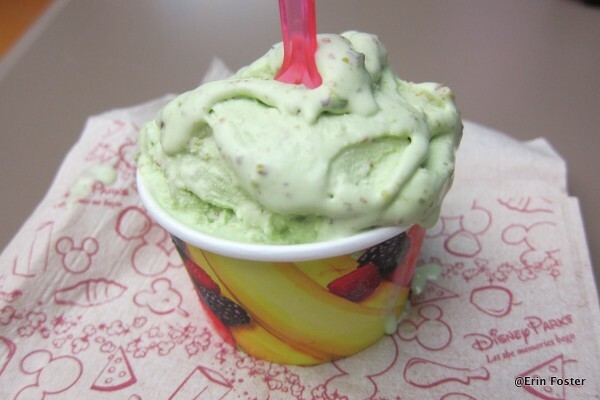 The pistachio looks good too. I like the idea of mini cheesecakes and mini cupcakes. Would give me the opportunity to try a variety of flavors without getting indigestion. Just returned from a week stay at Art of Animation. Landscape of flavors tasted great, but it was impossible to navigate. Imagine you have small children and you need to hold their food. Then you need to go to stations spread out all over the large area. People weaving everywhere no order, you have a cafeteria tray to fit all your items on. Then if you have a meal plan you need to get drinks. There is nowhere to set your tray to get into the drink area and take out your drinks. I could not hold 4 bottles and a tray of food. A logistics nightmare you could only get one meal at a time and if your kids are small you are making several trips to the food counters then checking out and repeat. Items were hard to find and the few signs there were changed every 5 seconds so you could not read what was offered at the food stations.